Whether your tile and grout is brand new or you’re just looking for a way to maintain a clean look, your tile and grout cleaning company in NJ has the answers. With the knowledge needed to keep your tile and grout in fantastic shape, the team at Best Way Carpet and Tile Cleaning is proud to offer home and business owners do’s and don’ts of tile and grout care. Tile is among the most highly sought after materials in a home or business, and with good reason! Home and business owners can choose between a large selection of tile colors, shapes and sizes to find the design that works best for your space. Unfortunately, grout is a porous material that can be difficult to clean, but only without the right steps! Do choose a cleaning product that is neutral and can be used for regular maintenance. Using a product that is too abrasive can cause grout to break down and leave you in worse shape. Don’t use chemicals like ammonia or kitchen products like vinegar. Both of these substances can be the culprits of grout discoloration. Do seal your grout. Sealing your grout is a great way to avoid any breaking down or discoloration and can make routine maintenance and cleaning an easier project. 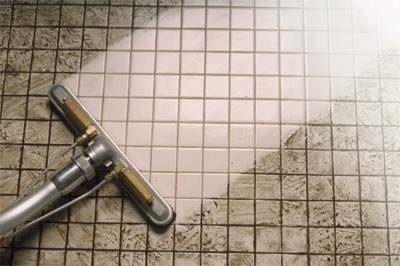 Don’t clean your tile’s surface with any kind of abrasive cleaning product. The last thing you want to do after having your gorgeous tile installed is to scratch it and wear it down! Do keep an eye on the appearance of your grout as you keep to your routine cleaning schedule. If you notice a hole or other change in its appearance, you’ll want to have it repaired quickly to avoid any issues. Don’t use grout sealer on your tile. Grout sealer is meant only for your grout and won’t work to seal your entire floor or wall. Do keep to a routine maintenance schedule! Keeping to a schedule will allow you to keep the clean appearance you desire for years to come. Contact Best Way Carpet and Tile Cleaning for tile and grout cleaning in NJ. At Best Way Carpet and Tile Cleaning, we are primarily focused on helping our customers to keep their home or business in fantastic shape. To learn more about our services and to schedule an appointment, give us a call at 732-391-6500 and visit us online at www.bestwaycleaning.net. This entry was posted on Tuesday, August 13th, 2013 at 9:57 am and is filed under Tile & Grout Cleaning.